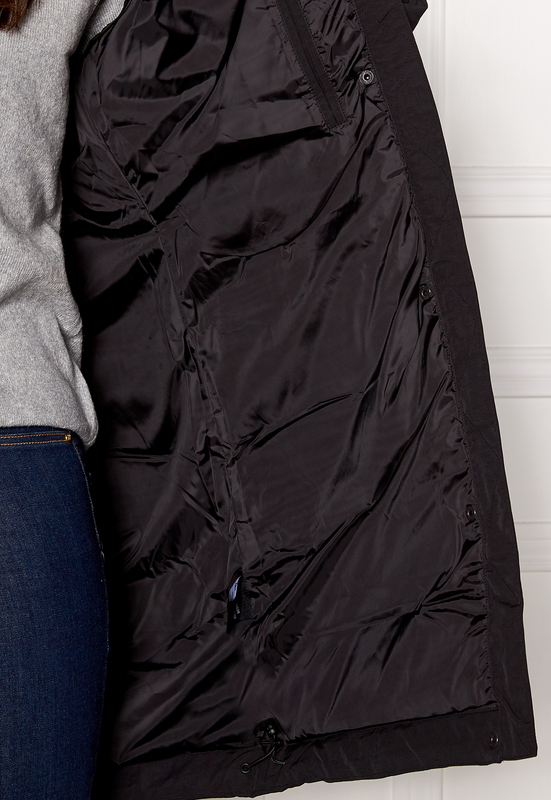 Comfortable and pretty down jacket with a longer length from D.BRAND. The jacket closes with a zip and buttons at the front. The jacket is lined with down that has been certified by RDS (Responsible Down Standard). This means that the down has been sourced from responsibly processed animals that have not been force-fed, and that the down has not been plucked from a living bird. 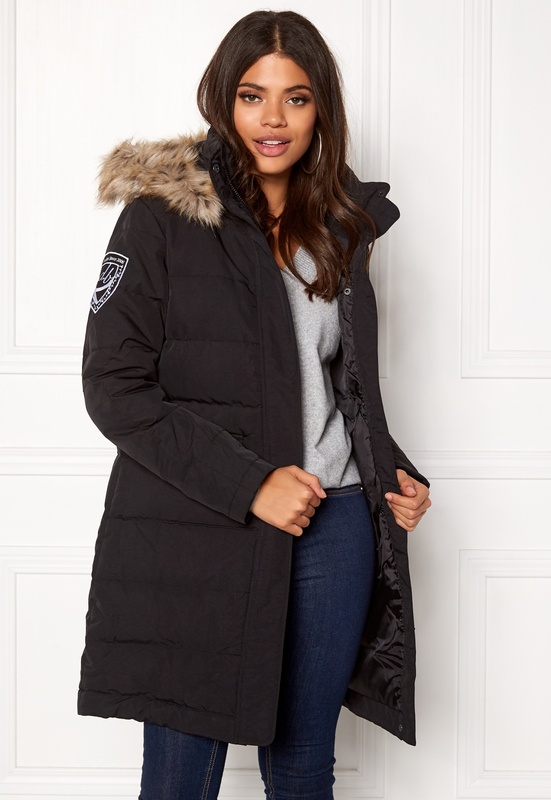 - Removable cap - Removable faux fur collar - Two front pockets that close using a button - Cuffed at the wrists - The brand’s logo is on the right sleeve Back length from shoulder 90 cm, bust 106 cm, sleeve length from shoulder seam 65 cm, in size S. The model is 175 cm tall and wears a size S. Dry-cleaning only.